Here you will find detailed information and Frequently Asked Questions specific to body armor manufactured by AR500 Armor®. AR500 Armor® is the industry leading manufacturer of high quality and high value ballistic and body armor solutions. We take pride in manufacturing our armor 100% in house from start to finish. This allows unparalleled quality control by utilizing the latest technology in production and quality assurance in each step of our manufacturing process. Why are some of my items taking a while to ship when it says no lead time? This scenario happens when an order has multiple items with multiple lead times. We ship all items together at the same time in an order, so the order will get shipped when the final item is ready. This means if you have 4 items in your order, and one of those items has a 3 week lead time, then all 4 items will ship together once the 3 week lead time has been met. What is AR500 Armor® Body Armor made of? AR500 Armor® uses an advanced ballistic grade steel core as the backbone of our armor. This material is much harder than traditional steel and other alternatives of “steel armor” currently on the market. Our material is specially designed for us and to our standards for use in ballistic applications. The combination of our ingenuity, manufacturing techniques, and experience in the armor and tactical gear industry allow us to produce armor that is unmatched in performance and quality. Our in-house manufacturing allows us to offer our armor at a realistic and affordable price point. The core of AR500 Armor® body armor measures in on the Brinell Hardness Scale (BNH) between 504 and 519. Reliable traits of our core such as consistent thickness and temper are what we’ve built our reputation on. AR500 Armor® is known for producing reliable and effective body armor solutions. Simply put, we use the highest quality ballistic grade steel available in the industry. Few in the industry have the ability to obtain the same quality material and utilize our unique manufacturing techniques. We encourage you to be wary and do your research on any armor solution you choose, regardless if you decide to purchase elsewhere or from us. Look for quality and a reputation you can trust as not all “steel armor” is created equal and required to meet strict quality standards and product testing standards. One of the largest concerns is what happens to your body armor when a bullet impacts the strike face. After much R&D we’ve landed on a ballistic product offered by Line-X. Many know Line-X for their reputable truck bed liners. However, Line-X also has a dedicated line for military applications which includes the PAXCON PX-2100 protective coating; a specially designed spall and fragmentation mitigation coating. We take full advantage of this technology and have incorporated the spall and fragmentation mitigation coating in the production of our body armor. AR500 Armor® is an approved OEM applicator of Line-X PAXCON spall and fragmentation mitigation coatings. The performance of Line-X PAXCON greatly exceeds standard truck bed liners such as Rhino Liner, Herculiner, and other specially applied and off-the-shelf options, in our testing. More information on our Line-X Protective Coating can be found by Clicking Here. All AR500 Armor® finished products are subject to extensive ballistic testing. This includes independent lab testing pre and post manufacturing, from its raw form to a completed product, and in house batch testing. Independent lab tests are performed by the most reputable independent ballistic test laboratory in the United States, HP White Laboratory, Inc. Our Level III Body Armor is tested to NIJ-STD-0101.06 Level III Calibers (Military Ball), Shot Placement and Deformation standards. Testing to the same and more extensive standards is also performed in-house in our Phoenix, Arizona manufacturing facility. Level III Body Armor is designed to offer protection against the rifle caliber 7.62x51 NATO M80 Ball / .308 Winchester at velocities up to 2,780 feet per second. Third party testing has been performed with calibers up to 5.56 XM193, 7.62x54R, 30.06, 6.5 Creedmore, and .338 Lapua Magnum. Results with higher calibers may vary as they are typically over the threshold of Level III rated armor. It is also important to note than nothing is “Bulletproof”, there are many variables at play which determine a given type of armors effectiveness. It is equally important to understand that even if body armor prevents penetration; preventing injury or death cannot be guaranteed. Independent testing can be found by Clicking Here. Test Videos and Product Reviews can be found by Clicking Here. Within the rated calibers AR500 Armor® Body Armor typically performs well above the industry standard in being multi-hit capable. Alternatives such as Ceramic and Kevlar become compromised to a much greater extent when sustaining impact on the strike face. Often loosing material and becoming useless after just a few rounds. AR500 Armor®, because of our advanced steel core, loses very little material after impact on the strike face. Our method of mitigating spall and fragmentation rely on our exterior protective coating, and not the armor’s backbone, the steel core. This aids in longevity and greatly enhances our body armor’s Multi-Hit capability. AR500 Armor® Body Armor does not need to be used in conjunction with other panels or armor to be effective for its rating. It is designed as a Stand-Alone solution. AR500 Armor® is Stab and Slash resistant to all hand-held edged weapons. Thinking outside of the box, we not only devoted R&D time and money into the most effective material for our body armor, but we focused on ergonomics, comfort, and usability. This forward thinking lead to our innovative Advanced Shooters Cut. The idea is simple - allow the operator more room to shoulder their rifle for improved comfort and positioning without coverage loss. Our Advanced Shooters Cut still provides maximum coverage of vitals while greatly increasing the operator’s ability to properly position the rifle stock resulting in optimal conditions for the operator. Being able to properly position your weapon will aid in achieving well-placed shots. This is another area where AR500 Armor® products take one more step further from traditional body armor. Our body armor is practically Maintenance and Care free. We’ve engineered our armor to last a lifetime. Each and every component we choose is properly prepped, sealed, and applied with longevity in mind. · AR500 Armor® does not need to be stored in a special configuration. Such as on a flat surface, hanging vertically or in a padded case. 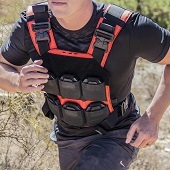 · AR500 Armor® is not fragile or subject to stress fractures and will not be compromised when used in training via running, jumping, rolling, or hitting obstacles and objects. · AR500 Armor® is safe to transport in your vehicle through rough terrain, secured or not. · AR500 Armor® is 100% sealed and impermeable to liquids, harsh elements, and most chemicals. · AR500 Armor® is safe and reliable for longer term storage. If your AR500 Armor® body armor gets dirty, let it be and insert back into plate carrier, or wipe with damp cloth to desired cleanliness level, place back into plate carrier. Can I Own Body Armor? Do you Offer Discounts to First Responders? We offer a multi-use discount code to military, law enforcement and first responders. To receive a discount code, we simply ask that you email our support team: support@ar500armor.com. We ask that you send us any form of credentials to verify your status, this can be any of the following: Photo of an ID, letterhead, email from an official account etc. We will then send you the discount code to use at the checkout, providing 10% off body armor, plate carriers, and complete plate carrier packages with armor. How do I Clean my Carrier? We suggest trying to spot clean it with a soft cloth with water and mild cleaning solution like hand soap, baby soap, or shampoo. If the entire carrier needs to be cleaned soak your plate carrier in water and the mild cleaning solution you chose and then agitate the water by hand. From there dip your plate carrier in clean water until the soap is gone and leave to hang dry. IMPORTANT: We recommend not drying your plate carrier in direct sunlight as it can speed up the fading of the carrier, unless, of course, that is your goal. Currently we do not ship outside of the 50 United States, and in fact, do not ship to Connecticut which restricts the ownership of body armor to Law Enforcement and active Military only. We do not ship to APO addresses. Since our armor is made to order we generally will not expedite an order over someone else's order unless you are active military and are about to be deployed. In such case a copy of you orders is required. Do I need Side Plates? While the statistics of people engaged at a side profile are low overall, they rise quickly in an ambush, while riding in a vehicle or if you are a member of a dynamic entry team, so we do recommend side armor. Can I put a Rifle Plate in Front and a Soft Armor Plate in the Back of my Carrier? You can do this, but we recommend against it for a number of reasons. First, the uneven weight distribution will cause your carrier to pull down in front increasing the strain on your shoulders. Second, the soft armor limits you to Level IIIA protection in back and if you are facing rifle caliber threats this is dangerous; in an ambush or firefight your movements may not always keep your back facing away from the changing direction of the incoming threat as well as protect you from friendly fire in the ensuing panic to suppress the sources of incoming fire. Can I Travel (fly) with Body Armor? We recommend calling ahead to TSA as the restrictions are dynamic, changing, especially if it is travel outside of the United States when entry through a foreign countries Customs is required. The TSA web site states that body armor is allowed in both checked and carried luggage with the caveat that "our officers make the final decision on whether an item is allowed at the checkpoint." Can I put a Steel Plate, Soft Body Armor and a Trauma Pad all together in a Plate Carrier? Generally, yes as most plate carriers will fit up to 1"-1.25" of thickness without compromising the plate pockets securement flap. What Determines the 20-year Shelf Life of your Armor? The Paxcon coating which Line-X warrantees for 20-years. The ballistic steel core of our body armor has an indefinite shelf life as long as the coating is not compromised and exposes it to moisture, to include sweat. What Do Trauma Pads Do? Trauma pads, made from non-Newtonian soft materials, dissipate the transferred energy across the surface of the pad as opposed to allowing energy to be focused exclusively at the point of impact. The pads accomplish this by not following Newton's law of Viscosity, i.e., allowing a constant transfer of energy to a specific point on the surface area, but rather dissipate the transferred energies across their surface. In the event of a bullet strike on a plate causing the back side of the plate to deform from the kinetic energy delivered by the round; trauma pads spread that transferred energy over the larger area of the pad to lessen the energy delivered to the point of impact, and your internal organs in its path. They cushion the blow. Will placing a Level IIIA Soft Body Armor Panel in front of or behind my Level III or Level IV plate increase the stopping power? There is no simple answer here, some projectiles with higher velocities can penetrate rifle rated plates and the round may still have the kinetic energy to also penetrate the Level IIIA Soft Armor panel. Add us Snapchat to see exclusive, behind the scenes action of The Armored Republic™!